Tottenham Hotspur’s central defender Younes Kaboul has been linked with a number of sides across Europe this summer – most notably, French Ligue One sides Paris Saint-Germain and Monaco. The 27-year old France international is currently in his second spell with Tottenham, after re-signing from League Two side Portsmouth in 2010. This season, Kaboul has been sidelined for the majority of the season with recurring knee injury – despite undergoing surgery six months prior. The Frenchman made only one Premier League appearance in 2012/13. Unsurprisingly, his future with Tottenham has been speculated about, and Spurs are said to be considering offers for the right price. He’s currently valued at around £5M. La Liga runners-up Real Madrid are a side looking for defensive recruitments – with current want-away centreback Pepe attracting interest overseas. Chelsea are also keen on bringing in healthy competition as veteran defender John Terry nears the final year of his contract with the Blues. However, the favourites for his signature this summer appear to be France Ligue One title holders Paris Saint-Germain. Kaboul’s last cap came under France manager Laurent Blanc, who is now the manager of PSG on a 12-month contract. Blanc is keen on renewing acquaintances with Kaboul, and is willing to put in a bid for his services if the 27-year old can prove his fitness. 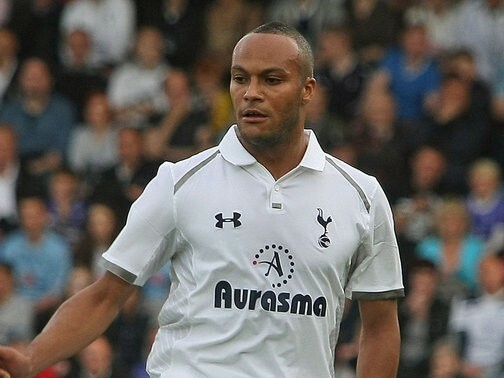 Kaboul faces stiff competition to force his way back into the Tottenham side. Their summer signing of centreback Jan Vertonghen paid dividends as the Belgium international was named in the Premier League Team of the Year 2012/13. He and club-captain Michael Dawson formed a formidable partnership as the London side finish 5th in the Premier League. Not to mention young centreback Steven Caulker regarded as a hot prospect for the future at Spurs. Talks on the 27-year old’s future are said to be made a priority for Tottenham manager Andres Villas-Boas this summer. Paris Saint-Germain are expected to make a bid for his services during pre-season. He made 105 appearances in total during his time at Tottenham Hotspur, scoring seven goals. Currently valued at 5m huh? You are literally plucking numbers out of your colon. He’s going to be our #1 CB next to Vert this season. If Dawson was worth about 8m to QPR last year, what do you think that makes someone ahead of him, younger and better? Utter garbage. .Kaboul is still injured and not expected to feature til earliest the beginning of September. Cannot see him going anywhere, possibly our most important player when fit. Was immense before his injury and along with Sandro form the very spine of our team. 1/10 on this happening. Utter tosh. If Kaboul is fit he’s 1st choice right sided CB, with Vertonghen on the left.You seem to be the only one speculating on this! And £5m….are you on drugs- if someone bids over £15m then Levy might be tempted.When you think both Skrtel and Agger were linked last year with moves over £20m, and neither is in Kaboul’s class. Why do people write articles like this? Kaboul is a first choice central defender at the club and he’s badly needed too. Yet another “speculated” news story with no quotes and no substance!!!?! In 11/12 Kaboul was amongst top 3 CB’s in PL so why would we sell him for a measly £5m?! Him and JV will be formidable this season! !